Children who are under 18 years old and do not have insurance can be seen through the uninsured dental program if they go through intake and qualify financially. Must have Birth Certificate and/or court paperwork appointed legal guardianship for each eligible child. Services are available at the Titusville, Viera and Melbourne Health Department locations, by appointment only, and include: examinations, x-rays, oral hygiene instruction, fillings, extractions, preventative, restorative, emergencies and palliative treatment. To schedule a pediatric dental appointment for the Viera location, call 321-639-5801; for the Titusville location, call 321-383-5115; for the Melbourne location, call 321-726-2937. Adults over the age of 20 with Clear Health Alliance, Magellan, Staywell/Wellcare, Sunshine or United Healthcare needing emergency dental care may also contact 321-634-6032 for the Viera, Titusville or Melbourne locations. 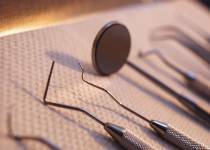 The clinic was established in June 1994 through the combined efforts of the Brevard County Dental Society, the Brevard County Board of County Commissioners, the Florida Department of Health in Brevard County, with an annually-reviewed contract. The vast majority of the volunteer dentists are members of the Brevard County Dental Society who donate their time. Many dentists, hygienists, assistants, dental supply companies and other organizations have donated time, instruments, equipment and supplies. The purpose of the program is to provide limited dental services to low-income adults without other access to dental care. Services provided are primarily the diagnosis and treatment of acute dental pain. This includes x-rays, evaluation of the patient's major complaint and extractions. Clinics are held two to three times a week. The clinics are located at the Titusville, Viera and Melbourne Health Department. Needy individuals must be at least 18 years of age without Medicaid and must qualify financially through intake. To schedule an appointment for intake/eligibility for the Volunteer Adult Dental Clinic for the Viera location, call 321-639-5801; for the Titusville location, call 321-383-5115; for the Melbourne location, call 321-726-2937. Once intake is completed call 321-634-6032 or e-mail Brevard.AdultDental@flhealth.gov to be added to the waiting list. This is not an emergency clinic and wait time for an appointment will fluctuate. This program is staffed by VOLUNTEERING dentists. Please visit http://www.floridahealth.gov/programs-and-services/community-health/dental-health/index.html for more information and details on the Public Health Dental Program.